ITS CHEAP, EASY AND VERY EFFECTIVE !!! Welcome to our advertising panel! Our website provides the wonderful opportunity to popularise your business, event, hotel, accommodation or a venue. Our website enjoys hundreds of visits per day from all over the world and it is an excellent option to advertise in an international environment. Our website is maintained by highly trained professionals and specialists in the field of web developing and SEO marketing. Advertising your business on our website is easy and very effective. You could advertise your business on our website in form of banners ADs. The price of the advertisement depends on the size of your banner AD and on the specification of the page, where it will be advertised. You could advertise on our home page, a tour page, or some other informative page. Normally, the ADs are placed on the bottom of the desired page. We can make an exception and place your banner inside a page, regarding on the matter of your advertised product. The above prices are based per one banner AD, per month, placed on the home page. The above prices are based per one banner AD, per month, placed on a tour page. The above prices are based per one banner AD, per month, placed on an informative page. Once we approve your banner AD, we will send you our bank details for the payment. We reserve the right to reject the placement of your banner AD, if we find out that you business is suspicions or harmful for our reputation. We reserve the right to reject the placement of your banner AD, if we find it unsuitable for the area, where it is advertised. 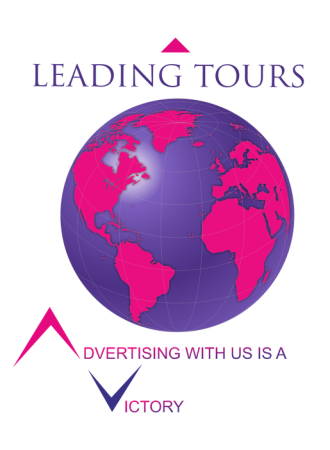 Leading Tours ltd, gives you other options to advertise your business on our website. If you are planning to advertise multiple products for longer period of time, then we will be happy to receive specific information about your services. In case you decide to advertise several products on different pages, then a special price and option will be applied, upon negotiation!